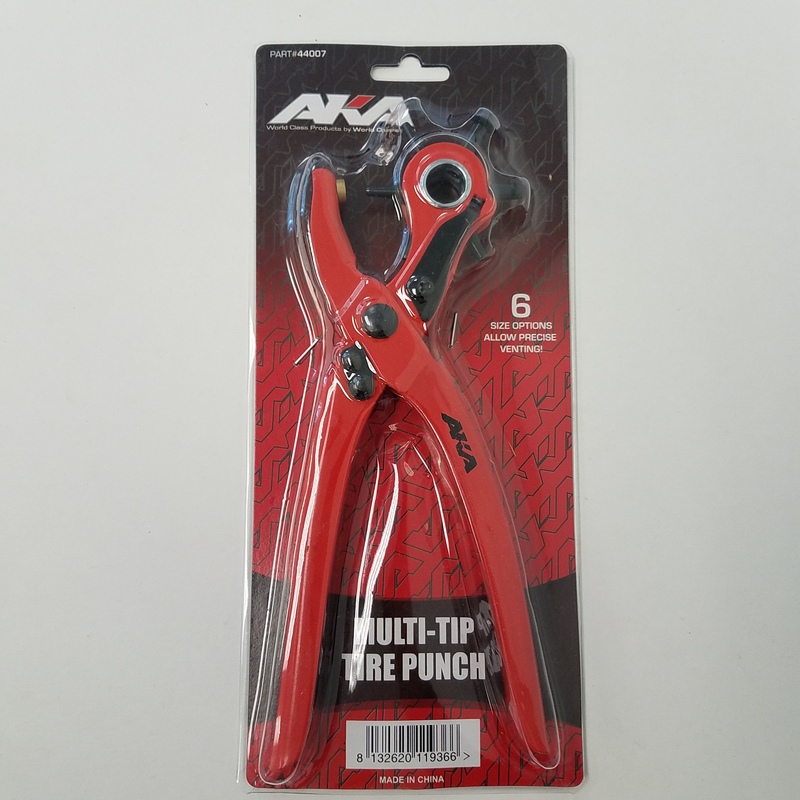 The AKA Multi-Tip Tire Punch is used for for punching vent holes in tires from 1:10 all the way to 1:5 scale. 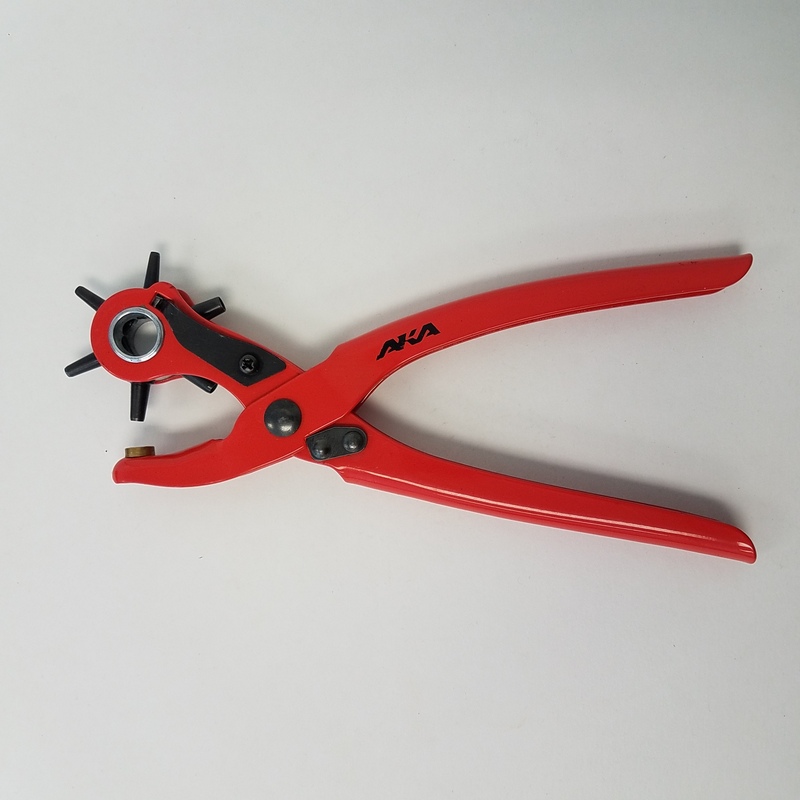 It features six forged steel tips: 2.5mm / 3.0mm / 3.5mm / 4.0mm / 4.5mm / 5.0mm. 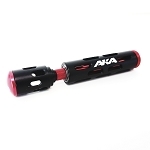 AKA's Tire Punch is constructed of high-strength-steel which is powder-coated red to help withstand the abuse at the track and help protect against rust. A spring loaded comfort handle for ease of use and locking lever for protection when not in use. This hole punch is the best I have ever used in over a decade of punching holes in tires! 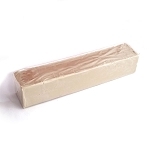 The various sizes of hole puches allow for tweaking your hole sizes and locations. One squeeze of the handles and you have a hole.! No twisting or wrestling with the tool! 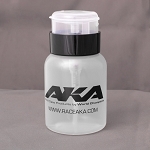 And, it has the AKA logo on it!